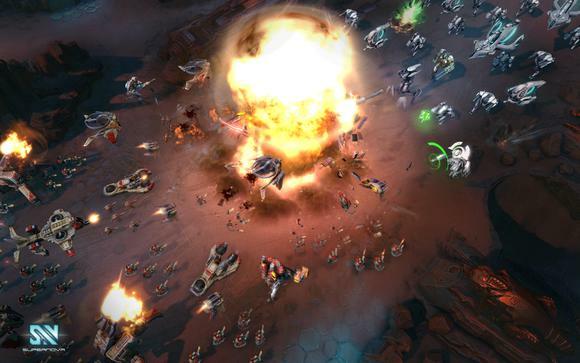 It's official: There's another MOBA coming to market. 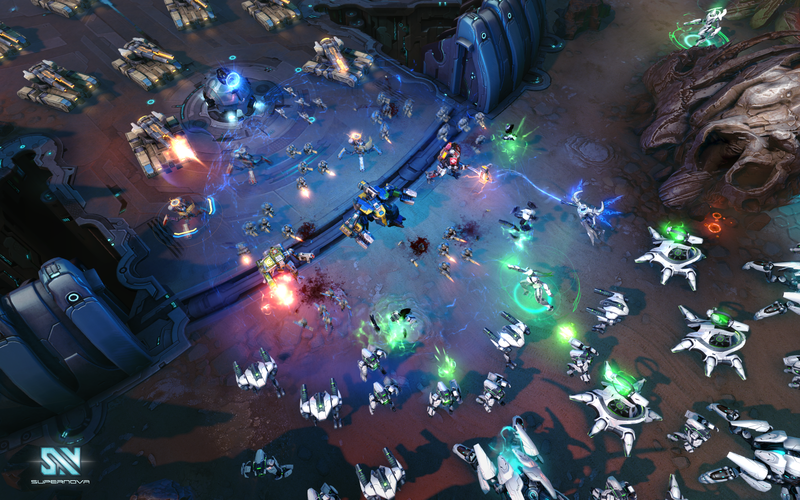 This past week I got the chance to go hands-on with Supernova, a new sci-fi themed MOBA from Bandai Namco. I learned three things: 1) I'm not very good at MOBAs. 2) Supernova seems like a fine MOBA. 3) I'm starting to find it difficult to tell one MOBA from another. There seem to be two primary gimmicks that set Supernova apart, and they both stem from the same idea: Progression. In Supernova you directly manage upgrading your character's stats throughout the course of the match and the makeup of your creep army. Now in layman's terms: Each time your character levels up, you need to pop open a menu and decide which stats to improve. Like an RPG. Or you can just do like me, decide you know absolutely nothing about what's going on with your character, and set it to "auto." Obviously MOBAs are also known for creeps—AI-controlled fodder enemies that mostly serve to provide experience to opponents but in large numbers can do some real damage. In your standard MOBA creeps are entirely automated though. They spawn at set intervals, each team has the same make-up, and they just meet in the middle and fight. Supernova allows you to customize your army over the course of the match (or automate it if you don't feel like micromanaging). 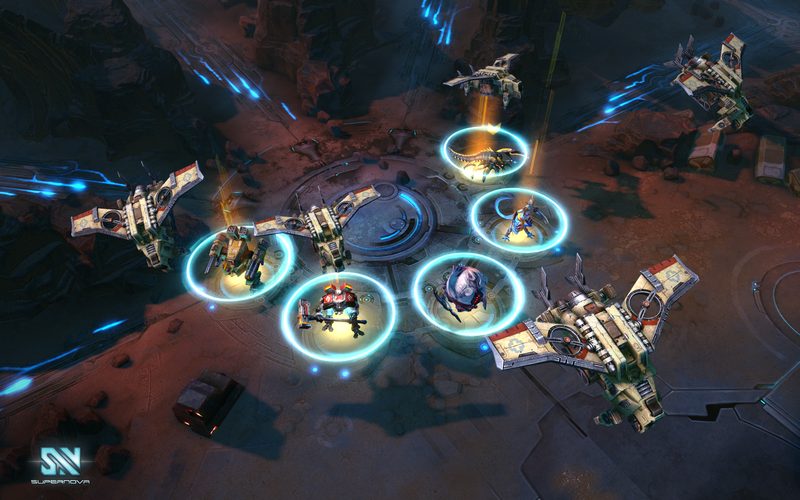 Each fodder enemy or player you kill nets you gold you use to upgrade the composition of your army for next time, either by adding more low-power minions or unlocking tiers of progressively more expensive, stronger units. Our first match, for instance, I maxed out with fifteen of the lowest-cost units, which meant every time my creeps spawned there was a massive wave of utterly useless garbage marching across the screen to get slaughtered. The second match I focused on tiering up early, which gave me powerful units—but only four or five, so no match for a decent team. Therein lies the biggest problem—at no point did I feel threatened by these mobs, which means they're still just kind of useless set dressing for the player-versus-player combat. They're still, as far as I can tell, a means for leveling up and not a legitimate threat that players need to pay attention to. And as if there wasn't enough to pay attention to, there's a Research system layered over the top. 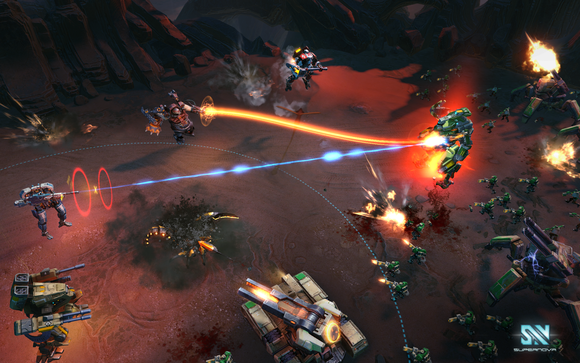 Research draws from the same pool of resources as your army composition but provides buffs instead of physical units. If that sounds vague, it's because I didn't even realize this system existed until halfway through our second game. It's all a lot to keep track of, which I guess is probably what Supernova is going for. My worry is that it'll make the game unapproachable for newcomers though. MOBAs already have a reputation (deserved or not) for being hostile, toxic communities. So much so that Riot and Valve actively reinforce good behavior to try and get away from those tendencies. Now imagine you've never played a MOBA before and all these extra mechanics are thrown on top? Scary stuff. Supernova tries to dodge the issue by allowing you to automate everything, but I can imagine an angry teenager screaming in my ear right now about how useless the default upgrade paths are, and how I've totally wrecked the game by automating. I saw this in action during our hands-on, minus the emphatic high-pitched yelling. The second round, our 5 versus 5 game ended up being the most unbalanced massacre I've ever seen at a press event. I think the final score was 40 kills to 6, and four of those six deaths were me because I, as mentioned, am terrible at MOBAs. Basically, the rest of my team had figured out how to use Supernova's mesh of systems far more efficiently than the other team, and the result was a steamrolling the likes of which I hope to never suffer through again. And I was on the winning side. So then it seems like Supernova's target audience would be people who've already earned their MOBA stripes—who've put in time in League or Dota 2 and now are going to jump over to Supernova. Do those people exist? I mean, sure there must be some, but it doesn't seem like the safest plan to hedge a game on. Once again, we're left with something I've seen pretty often in the last two years: Another Great MOBA. 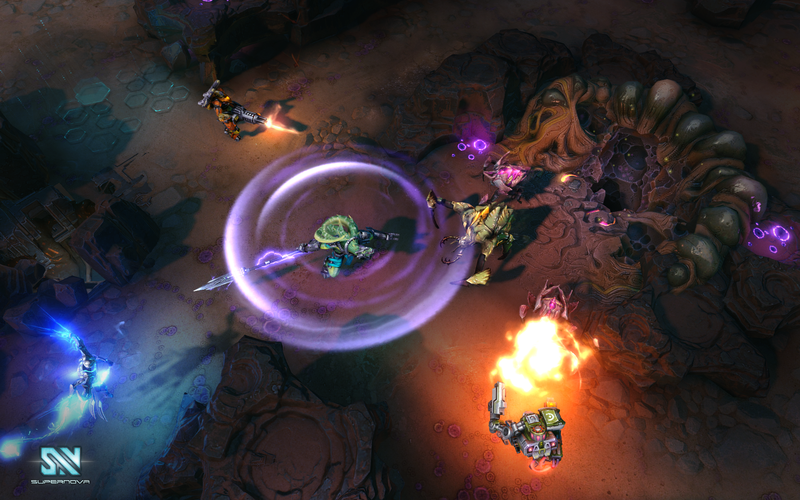 In short, Supernova looks like a fine game—it's polished, it's deep, and it has a few interesting tweaks on the MOBA formula. And it's free-to-play, which is basically a requirement in this realm. But I don't know if it has the standing to challenge genre juggernauts League and Dota 2. Nobody has been able to so far except Blizzard, and that was because Blizzard actively dumbed down the genre to something normal people could grasp instead of making it even more niche. Note: As part of this event, Bandai Namco tried to give all attending press a free Razer Blade laptop originally used for demoing. PCWorld declined this offer.